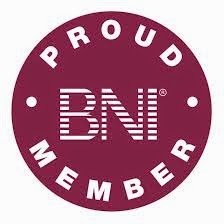 Many have asked about an online application for BNI. Many pay their current membership online already, by either credit card or an electronic check. However, up until Monday, October 27, there was only an option to fill out your application using the hard copy triplicate application or a pdf of that. On the 27th, BNI officially took the first step towards online applications for all members, across the world, by starting with our renewal applications. This is for our current members, many of you who read this, to renew your BNI membership online by filling out the application and submitting it to your Membership Committee for review, along with your payment. An email was sent to members and leadership teams on October 28th, with an attachment with the ways to accomplish your renewal online. Other exciting news is that our current members will soon be receiving information about a mobile platform prototype to get feedback. Watch your emails for more information yet this year! On the subject of mobile applications, have you downloaded the BNI SuccessNet mobile app? Available on Google Play and the Apple Store, you can now have SuccessNet in the palm of your hands, to help you earn more by learning more and dedicating yourself to the culture of learning that is so important to BNI members. Download it today! Webinars are for ALL Members & BNI Connect Users click on the link(s) below to register today! Connections, Groups, Testimonials & More!